Poised over the Fairlie-Poplar District and listed on the National Register of Historic Places, the W.D. Grant Building, completed in 1898, is the second oldest structure constructed of steel in the Southeast. This building was added to the National Register of Historic Places in 1979, and is in the Fairlie-Poplar district. The W.D. 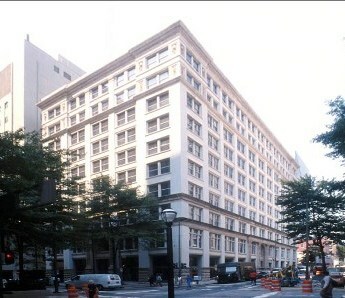 Grant Building is the second-oldest skyscraper in Atlanta still standing, completed in 1898 just one year after the Flatiron Building 1897.